Détails : A été volé dans un Petland. 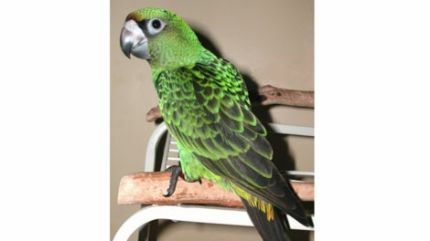 Employees of a south-end pet store are looking for help in finding a parrot they believe was stolen from the store Friday night. Bonnie Brissette from Petland told CTV News that a young woman was playing with the Jardine parrot when she stuff the bird into her handbag and walked out of the store.